General Info - Greece lies in the Eastern Mediterranean. It sits between the Ionian Sea to the west and the Aegean Sea to the east. The light winds normally found in the Ionian make this a perfect sailing area for those with less experience to undertake their first yacht charter and the Ionian is a perfect location for a flotilla sailing holiday. An Aegean yacht charter presents slightly more challenging conditions weather wise on your sailing holiday with the infamous Meltemi blowing through the summer season but most navigation is by line of sight and in the main provides for a perfectly relaxing yacht charter. Athens is a great base for exploring the Saronic Gulf, the east coast of the Peloponnisos and the lovely Cyclades Islands including; Amorgós, Anáfi, Ándros, Antíparos, Dilos, Escháti, Íos, Kéa, Kímilos, Kýthnos, Milos, Mýkonos, Náxos, Páros, Folégandros, Sérifos, Sífnos, Síkinos, Sýros, Tinos, and Thira or Santoríni. 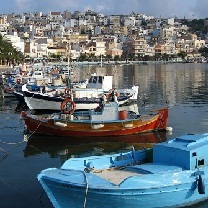 The Cyclades is the central group of islands in the Aegean Sea. 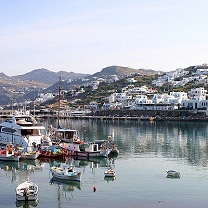 It can be split into three groups; the Northern Cyclades that includes the islands of Kea, Kithnos, Andros, Tinos, Yiaros, Siros, Mikonos, Delos and Rinia; the Central Cyclades that includes Serifos, Sifnos, Andiparos, Paros, Naxos, Dhenoussa, Iraklia, Skhinoussa, Koufonisia and Amorgos; and the Southern Cyclades including the islands of Milos, Kimolos, Folegandros, Sikonos, Ios, Thira and Anafi. The Dodecanese is a complex of over 163 islands and islets of which only 26 are inhabited. The islands form part of Greece's eastern border with Turkey. The group of islands can be split in three groups; the Northern Dodecanese and the islands of Arki, Lipso, Kalimnos, Levitha, Leros, Patmos and Gaidharos; the Central Dodecanese and the islands of Kos, Astipalea, Niseros, Symi and Tilos; and the Southern Dodecanese including Rhodes, Karpathos and Kasos. The Ionian Sea lies to the west of the mainland of Greece, it combines both good sailing weather, sunny and warm with predictable winds with a fascinating group of islands. 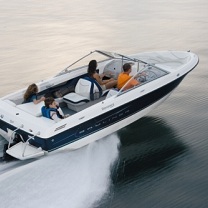 Navigation is generally by line of sight and a passage between islands is generally only a few hours in duration The islands are attractive and steeped in Greek mythology. 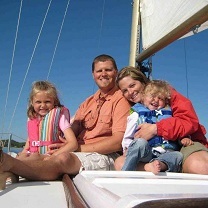 This is a great place for people learning to sail or building experience and so it is no surprise that it is home to several companies running flotilla sailing holidays. 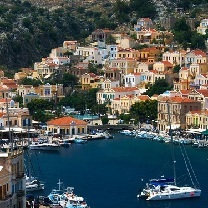 Islands that can be visited include; Corfu, Paxos, Levkas, Meganisi, Ithaca, Cephalonia and Zakinthos. The Peloponnisos can be split into the coast of the Western Peloponnisos and the Gulfs of Corinth and Patras. The Western Peloponnisos is in the most part high, rugged mountains, still often snow capped in the spring. The two principal ranges, Taiyetos and Parnon, run south ending at the capes of Matapan and Malea respectively. 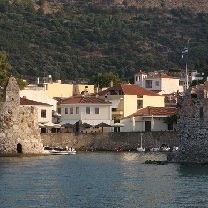 The northern coast of Peloponnisos is made up of the Gulfs of Patras in the west and Corinth to the east. 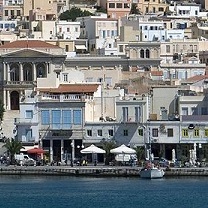 The Saronic Gulf lies to the south of Athens, the capital of Greece. As a practical sailing area it includes the Athens or Attica coast on the mainland, the eastern coast of the Peloponnisos including the Gulfs of Idhras and Argolikos. 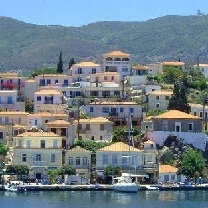 Some of the better known Islands include Aigina, Poros, Idhra or Hydra and Spetsai. The Sporades yacht charter area is made up of the scattered, widespread and fertile islands of Skiathos, Skopelos, Alonissos, Skyros, Pelagos or Kira Panayia and the uninhabited Peristera, Skantzoura, Yioura, Piperi and Psathoura. 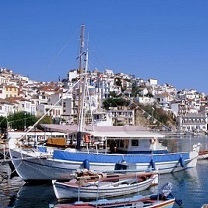 Skiathos and Skopelos are the main yacht charter bases in the Northern Sporades. The less travelled Eastern Sporades refers to the area that includes the islands of Lesbos, Limnos and Chios that run along the Turkish coastline.